Emojis are visual images or icons used to liven up your communications. You can use emojis in your Wealthbox publisher on your dashboard or anywhere you are entering notes or replies. 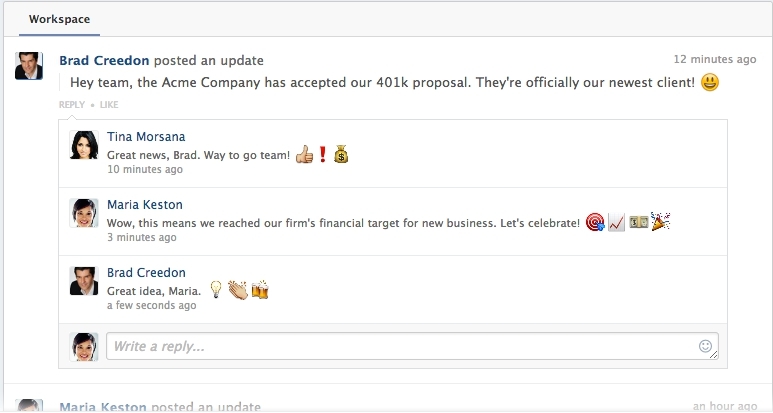 The image below shows an example of how you and your team can make use of emoji messaging.